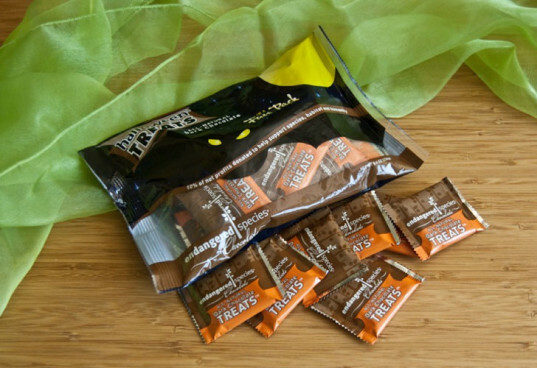 Trick or treat - give them something better to eat! Halloween is the holiday of sugary goodies: even the greenest of moms and dads generally give kids the night off from Brussels sprouts and pears so that they can participate in this annual rite of passage. This year, keep your green ethics in tact while providing kids with healthier organic and fair trade treats. Read on to find chocolates, lollipops, and candies that will satisfy your child's sweet tooth and your own green standards. Endandered Species chocolates get our stamp of approval for more than just being delicious, gluten-free, and kosher. 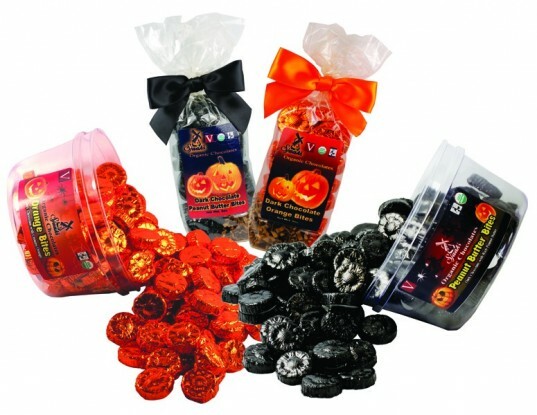 Purchasing them for Halloween treats also means that 10% of the proceeds goes towards wildlife conservation. If you live in a neighborhood that’s heavy on foot traffic (we had over 400 trick-or-treaters last year! ), stock up with the Endangered Species bulk options, in either milk or dark chocolate which comes in a box of 160 pieces. And for the family that’s brave enough to host a Halloween party, gift the host or hostess with a set of 6 organic bars. Divine Chocolate has set the bar high as a company making delicious and innovative chocolates with an impressive ethic: the company is co-owned by a Ghanaian farmer’s cooperative, and the farmers receive a fair-trade price for their cocoa. 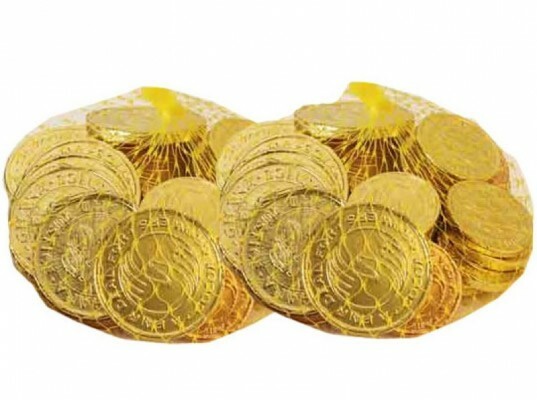 Hand out some of their fair-trade chocolate coins (which also double as Hanukkah coins), while we hope they release more of these Halloween themed goodies. Is all this talk of chocolate getting you a little caffeine-crazy? Consider Yummy Earth lollipops, made without chemical colors, artificial flavors, corn syrup, or GMOs. The organic lollipops come in 21 fruit flavors, made with real fruit extracts, and they’re gluten, peanut, and tree nut free! Yummy Earth also makes organic gummy bears. Their counter bins are an affordable option for Halloween: you can even stave off germs with their Vitamin C enhanced version! There’s also a bulk version with assorted flavors. Another lollipop option is College Farm Organic: their candies are made under strict organic guidelines with natural ingredients such as organic evaporated cane juice, organic tapioca syrup and organic fruit flavors. We’re hesitant to label any candy as “healthy,” but Surf Sweets come closer than a lot of what’s on the market. 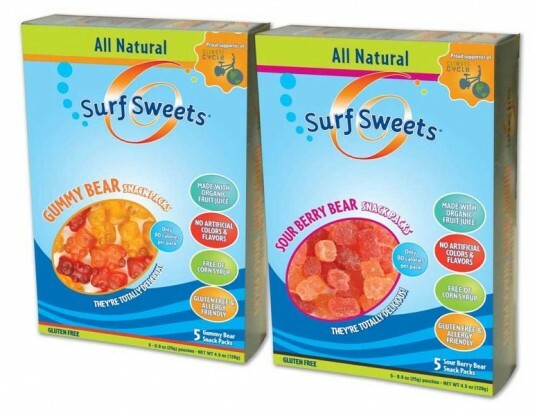 Made with organic fruit juice and organic sweeteners, Surf Sweets gummy bears, worms, and sour gummy candies are at least 90% organic and also give a hearty dose of Vitamin C in every serving. In flavors like cherry, grapefruit, strawberry, and orange, we’re thinking these gummy candies will be making it into our kids’ lunchboxes as well as their pumpkin totes. Many of the Sweet Surfs candies come in snack pack size and would make a perfect snack to refuel those little trick-or-treaters. 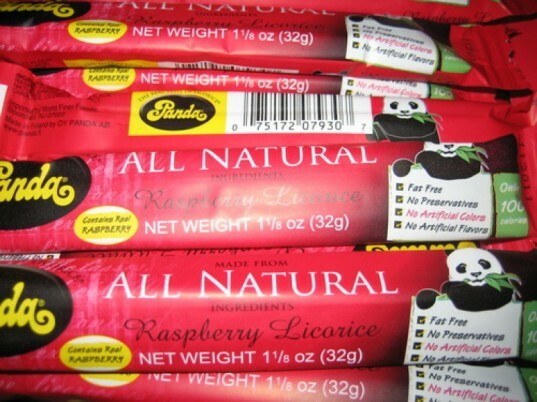 Panda Licorice isn’t organic, but they make an effort to produce some of the most natural licorice treats around, using molasses instead of the more processed sugar. In addition to molasses, there’s only wheat flour, licorice extract, and aniseed oil inside (no preservatives or additives), so Panda Licorice’s ingredient list isn’t going to cause a fright on Halloween night. Their individually wrapped bars in flavors like blueberry and raspberry will give those mini-witches and little ghosts a unique treat! Feeling ambitious? 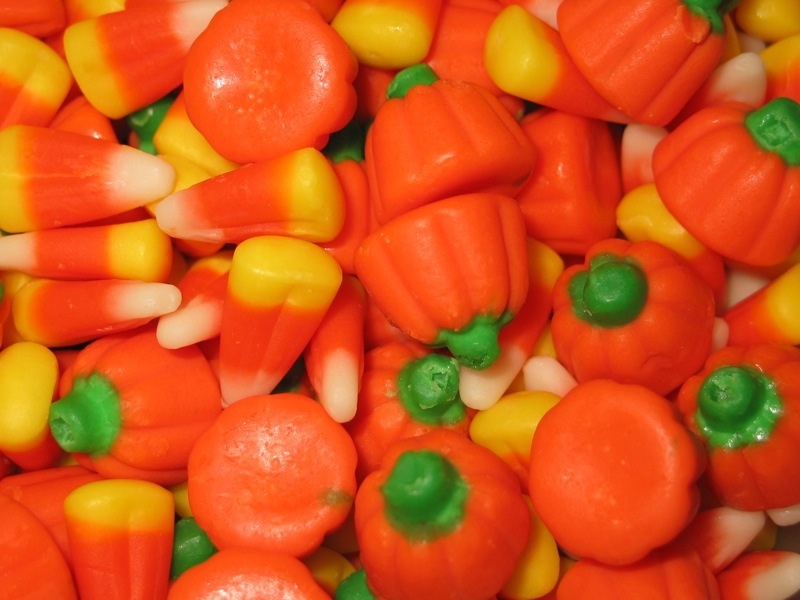 Give this candy corn recipe a try. While it’s not particularly kid-friendly to make, they will definitely get a kick out of watching you work! Is all this talk of chocolate getting you a little caffeine-crazy? 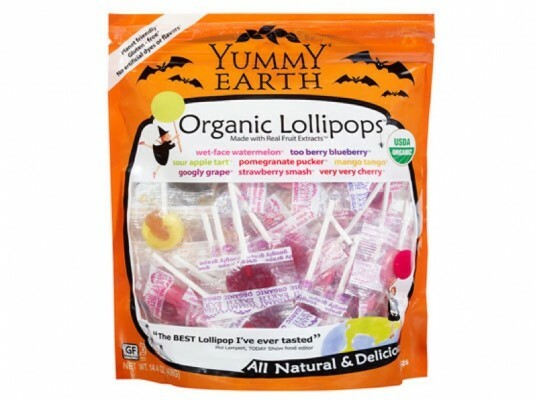 Consider Yummy Earth lollipops, made without chemical colors, artificial flavors, corn syrup, or GMOs. The organic lollipops come in 21 fruit flavors, made with real fruit extracts, and they're gluten, peanut, and tree nut free! Yummy Earth also makes organic gummy bears. Their counter bins are an affordable option for Halloween: you can even stave off germs with their Vitamin C enhanced version! There's also a bulk version with assorted flavors. Panda Licorice isn’t organic, but they make an effort to produce some of the most natural licorice treats around, using molasses instead of the more processed sugar. In addition to molasses, there's only wheat flour, licorice extract, and aniseed oil inside (no preservatives or additives), so Panda Licorice’s ingredient list isn’t going to cause a fright on Halloween night. Their individually wrapped bars in flavors like blueberry and raspberry will give those mini-witches and little ghosts a unique treat!